Elements ---- Mineral 钅 + inside 内 (na). Phonetic series 内. 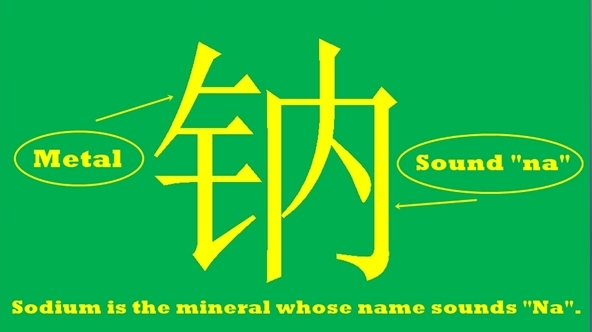 It is the mineral 钅 with the sound “Na” 纳. As in many other names of metals and minerals, here 内 or 纳 provide only the sound, as sodium sign in the chemical language is "Na".